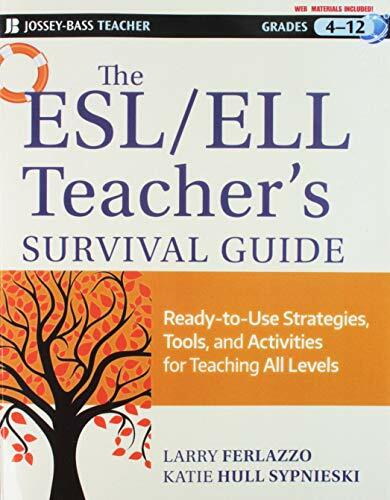 Get ready for some fun ESL activities for adults! The key to happy students and great classes is a wide variety of activities. Read more to find out our top picks to help you get creative in the classroom. If you’re looking for some ideas for your conversation classes with university students or adults, you’ve come to the right place. 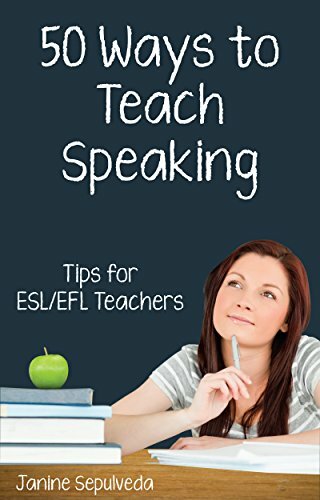 Here are my top 10 ESL activities for adults that will make your lesson planning easy and your classes as interesting, engaging and fun as possible. Put less time into making lessons, but with better results. 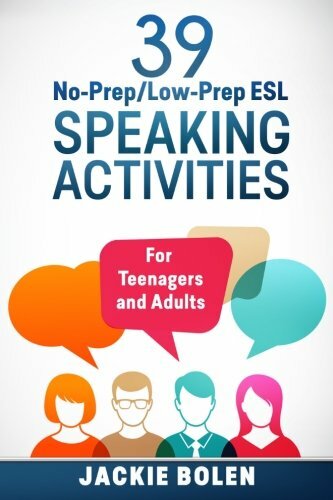 This is one of my favourite ESL activities for adults because it’s challenging and fun, uses teamwork and incorporates all 4-skills into a single activity (listening, speaking, writing, reading). Try it out and I’m sure your students will really enjoy it. It works for just about any level except absolute beginners. Just be sure to adjust the difficulty of the sentences you make. Don’t forget to implement the rule “whispers only,” or your co-workers will likely hate you when there is continuous loud yelling coming from your classroom and you’re interrupting other classes. 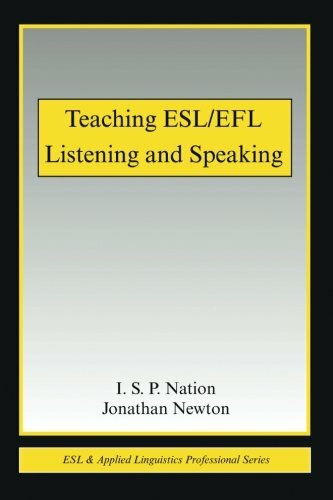 It’s EFL made fun! And the best part? Once you set it up and explain the rules, you can sit back and relax while your students are working hard at learning English. 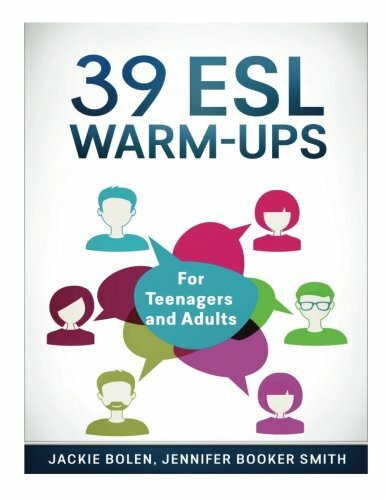 This ESL activity for adults makes an excellent warm-up at the beginning of class. Students have to talk about a certain topic, chosen at random for an entire minute, without stopping. You can turn this into a conversation activity as well by putting the students into groups and requiring the other people to listen carefully and ask some follow-up questions. Small talk is a very important skill that our students must practice, but it can be quite difficult to design an activity that is authentic. Try out this small talk activity that is challenging, but really fun. I guarantee your students will enjoy it! The best part? It doesn’t seem like “school” because it does an excellent job at replicating real life. I love to do ESL surveys in my classes because I think they’re one of the best ways for students to practice listening carefully to what their partner says and then asking follow-up questions. Surveys also work well for sleepy classes because they get students up out of their seats and moving around. 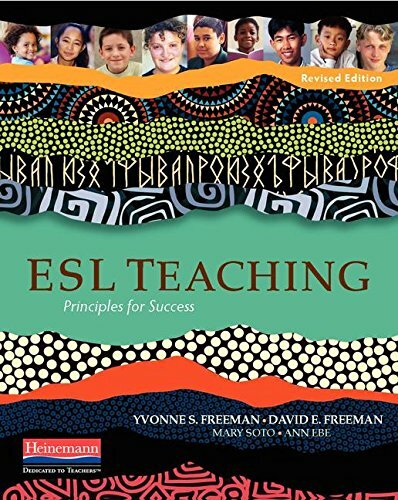 ESL surveys work well for a wide variety of topics, from food and hobbies, to introductions and holidays. 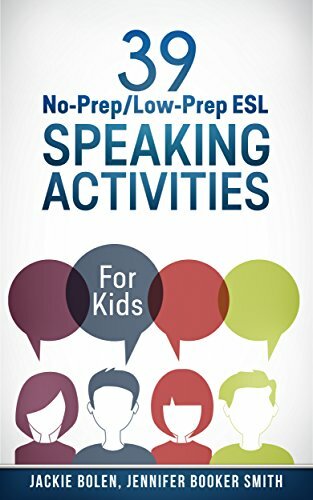 This is one of those activities that I use at least once every semester because I think it’s just an excellent ESL activity. It practices a few different skills at once, it’s challenging and it also forces students to paraphrase what they’ve heard and use related words if they can’t remember the exact word. It’s a great way to teach some new writing skills. If you’re looking for a quick filler activity at the end up class, try this one. It can take as little as a couple of minutes and it’s an excellent way to review what you’ve studied that day. You erase the sentence word by word and students have to remember what’s there. However, it’s only for lower-level students. 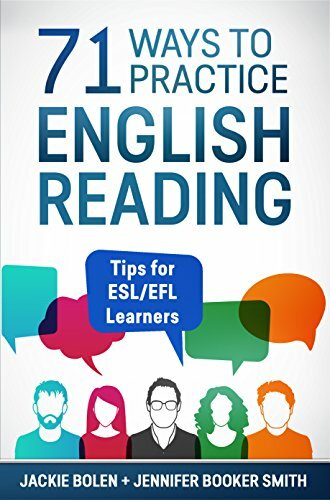 Disappearing text is one of the best ESL activities for adults who want to brush up on their grammar and vocabulary. This is a fun ESL activity for adults that is the perfect icebreaker for the first day of class. It’s a interesting way for adults to share what they’re nervous about with regards to studying English. If you’re looking for a “party” game or something to review vocabulary or common words, Apples to Apples for ESL students is your activity. You can buy the cards on Amazon, or make your own. It works well for a variety of levels, but you’ll have to make different decks to account for this in most cases. I love to play board games in my real life, so I make my students play them as well! I usually design my own simple games, based around whatever I’ve been teaching that class. Don’t forget to give a little prize to the winner of each group to make it a bit more interesting. (If you’re looking for a “real” board game to play with your students, check out King of Tokyo. I play it all the time with my university students and they love it). Find out how to make your own ESL board games and use them in your classes today. It’s language learning made fun! Foreign teachers have usually played this game when they were growing up. 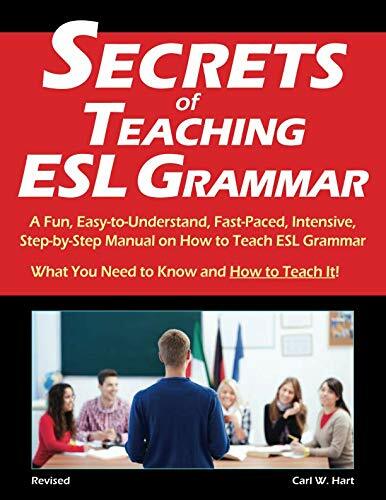 ESL students are often very good at answering questions because a normal mode of class operation is that the teacher asks a question and the student answers it. They’re often quite weak at asking questions and this ESL activity can help them with that. 20 questions is one of my favourite ESL activities for adults. 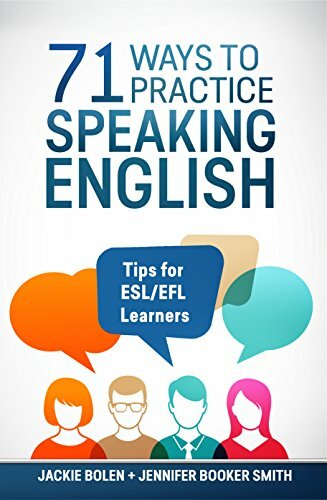 Find out how to adapt this fun game for ESL students. 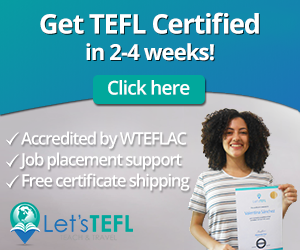 You can help bring some fun into learning English! It’s not just for adults, but works for any age of student. What about ESL News Articles? If you’re teaching a business, or conversation class, you may want to use some news articles that specifically written for English learners. There are lots of activities you can do related to them beyond just conversation: reading, listening, writing or grammar learning. 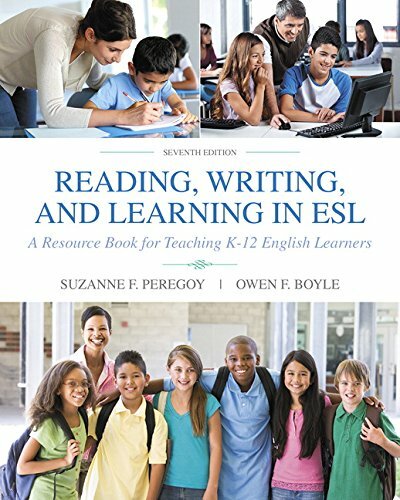 Here are some of my go-to online resources: ESL News Articles. Need More Teaching Activities for Adults? Thought so! 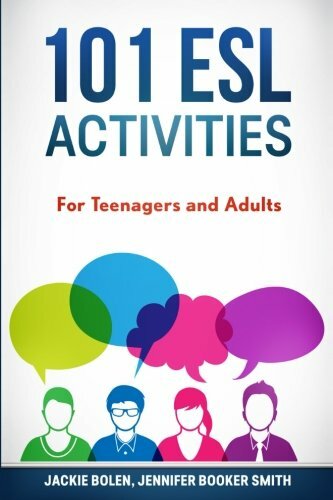 Then you’ll need to check out this book: 101 ESL Activities for Teenagers and Adults over on Amazon. 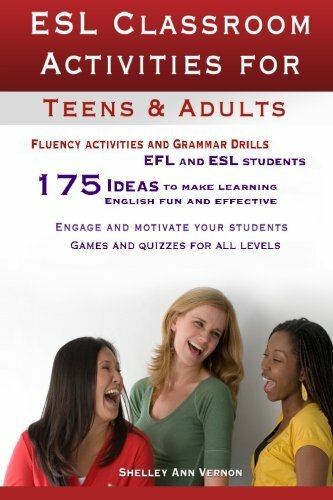 There are more than 100 ESL adult activities that will make your lesson planning easier, and your students happy! The key to a successful class week after week is to add in a variety of activities and games. This book will help you do that in style. Keep a copy on your bookshelf. Or, a copy on your phone for lesson plans on the go. 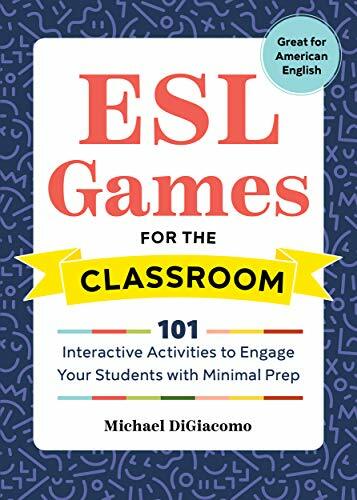 Just open it up and you’ll have a list of dozens of fun ESL games and activities at your fingertips. 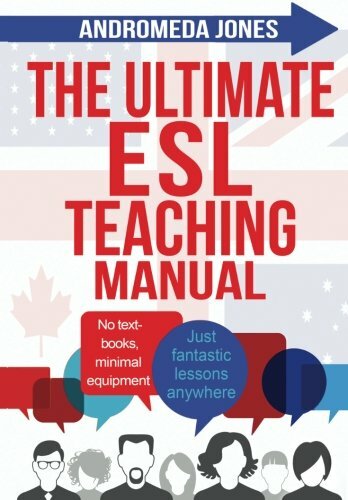 You can get 101 ESL activities in both print and digital formats. The (cheaper) digital one can be read on any device by downloading the free Kindle reading app. It’s easier than ever to have top-quality activities and games for English language learners at your fingertips. Tefl teachers: what are your top picks for fun ESL games for adult learners? Leave a comment below and let us know what you think.